Last Sunday, there was the 'chang' festival right? Everyone was eating a lots of 'chang' right? Is it so delicious? Hehe. 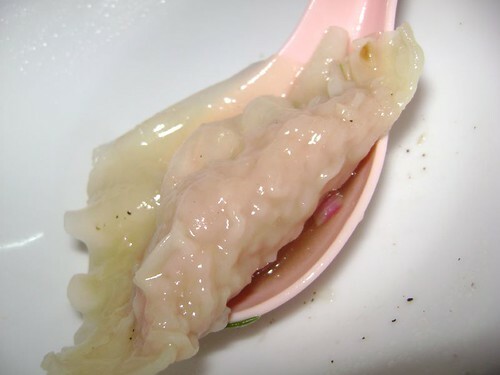 Today, this post not recognize you to eat 'chang' now. Alright, the 'chang' will be post up next post. 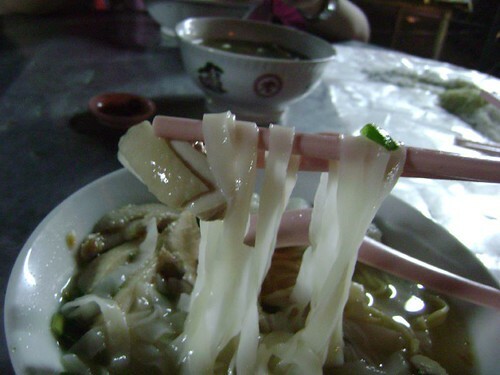 Anyway, that festival eve night I followed my parents to went out and we were searching something to eat. 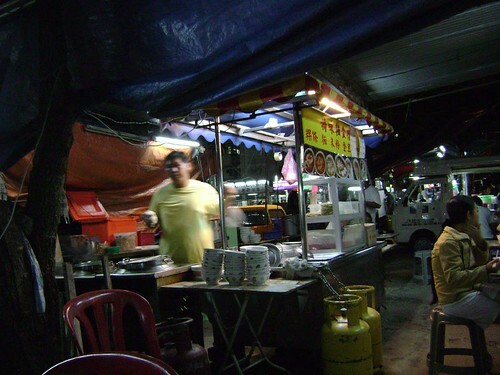 What my father choose is having a simple dinner in outdoor and he choose a hawker food stall which in Taman Lip Sin(near Super Tanker). What we eat about? 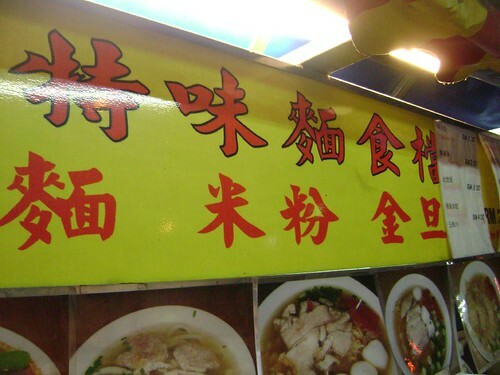 There was the stall name. Actually I think there was no name in front his stall just only some 'nice' words to attract people. There look what ingredients that have. 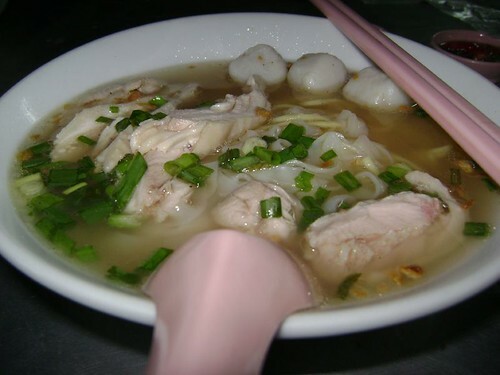 Got koay teow, 'yellow mee' and many many things. You see the hawker was looking at me and he flash quickly. So the effect not so nice! XD. Why I like to shoot here, shoot there? Hehe. 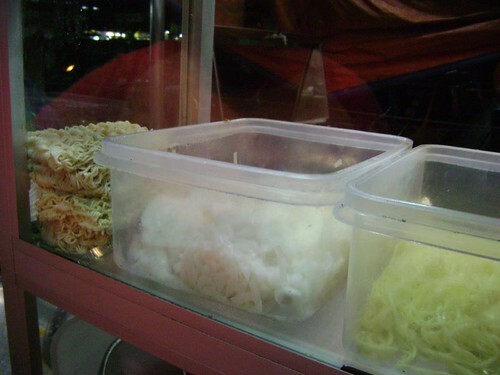 The first, my father was buying the 'putu mayong' while waiting the bowl of koay teow soup coming. 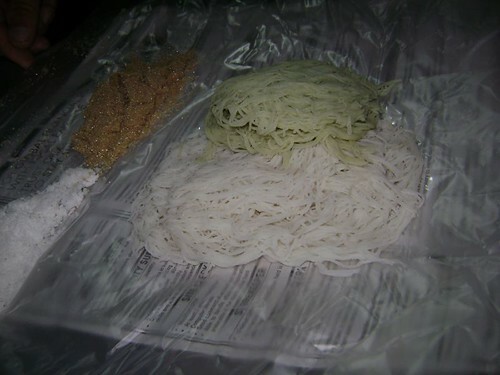 The putu mayong is quite sweet and delicious. Here is my mum and my sister sharing Tomyam soup mee and they enjoy the spices of the tomyam soup! 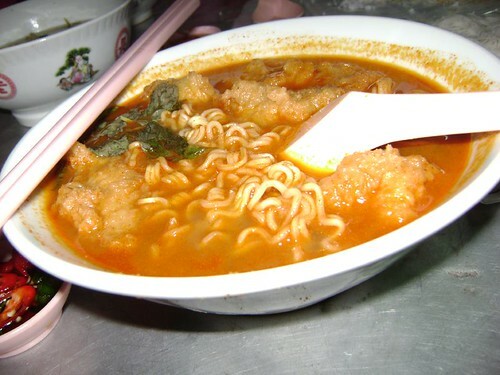 Yo, is so funny while eating that bowl of tomyam. Every bowl is empty expect this bowl. XD! 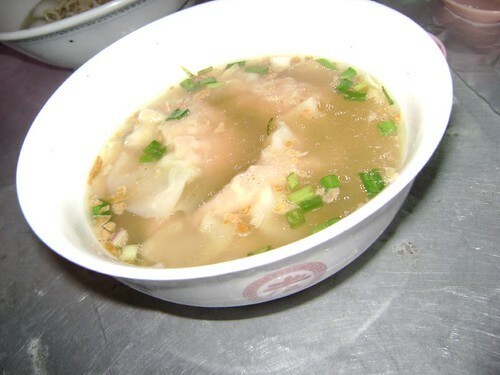 Here the bowl of plain chicken soup. 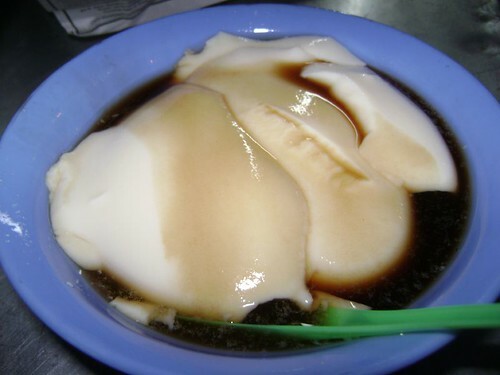 That's contain 5 'wantan shui gao'. I ate two and my parents and sister each ate one only. Let's see this picture I snapped it quite nice and looked so tasty and want to try it!